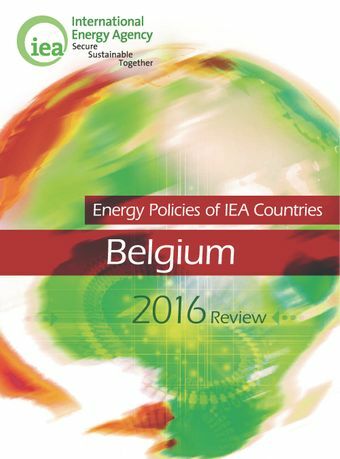 In recent years, Belgium has made clear progress in increasing competition in the electricity and natural gas markets. It has also managed to reduce the use of fossil fuels and increase the use of renewable energy. The country´s economy is becoming less energy intensive.Belgium has excellent gas transport infrastructure, and its gas market is well-integrated with those of its neighbours. The country’s emergency oil stock levels are also high.As in all IEA member countries, a major challenge for Belgium is to decarbonise the economy while ensuring security of supply and affordability of energy. A long-term approach is required, and, given that responsibility for energy policy is divided between the federal and regional governments, the authorities must work decisively together to form a national energy strategy.Nuclear energy accounts for around half of Belgium’s electricity generation. The current policy is to close all nuclear power plants between 2022 and 2025, but this would seriously challenge Belgium’s efforts to ensure electricity security and provide affordable low-carbon electricity. The phase-out schedule should be relaxed to let the plants run as long as the regulator considers them safe.To attract critical investments in the energy sector – especially in electricity generation – the government should follow closely the principles of transparency, predictability and regulatory certainty.Under any scenario, energy supply needs to be further diversified and energy demand further limited. Transport and buildings hold a large potential for efficiency and climate gains, and fiscal incentives and price signals could be used more frequently in order to reap them.